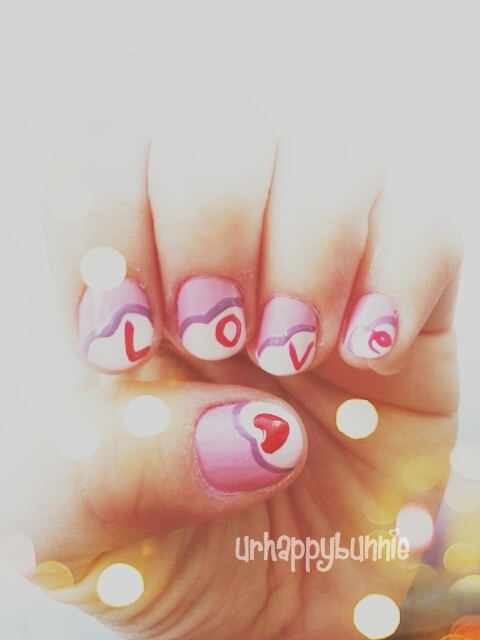 Since boyfriend is thousand of miles away from me I'll be spending my Valentine's day alone. :( That means no dressing up for Valentine's Day but I probably will do a nice, glowing Valentine's day makeup but that remains to be seen tomorrow. 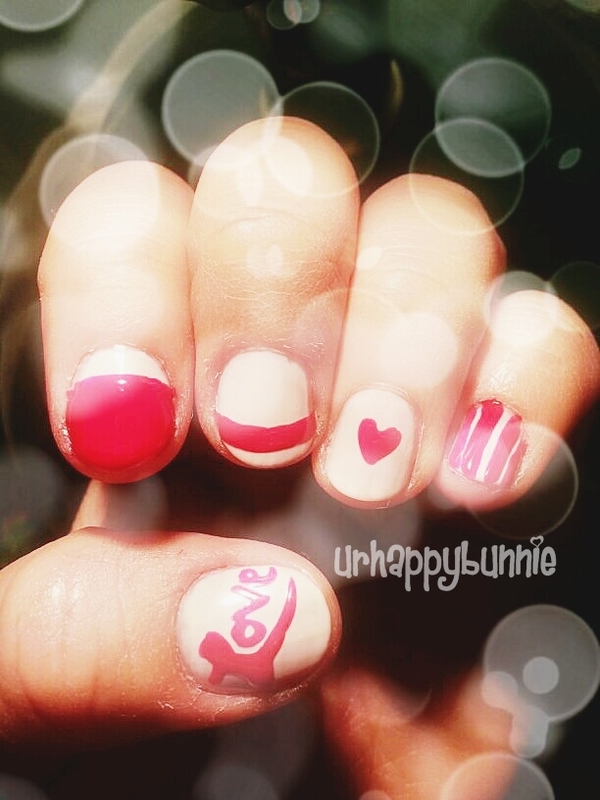 Single or taken, a nice VDay mani seems to be appropriate so I came up with 3 Valentine's Day Nail Art. So sorry for the low quality pics, I only used my phone to get these shots.